In this Talk to the Expert interview I spoke with Helen Strong, the chair of MELTA (the Munich English Language Teachers Association). Recently, they decided to stop publishing job ads which require the candidate to be a native speaker and I was curious to find out what the reaction from the recruiters has been. Why did MELTA decide to stop publishing job ads that require candidates to be native speakers? I personally feel quite strongly about the Native English Speaker Teacher (NEST) and non-Native English Speaker Teacher (NNEST) issue in ELT and I wanted to do my bit to make a change in this area of our profession. When I started looking into it via the teflequityadvocates.com website and the links provided there, I realised that not only is this a moral and ethical issue, but it’s also a legal one. Specifying that applicants for a position need to have a certain first language is in fact a contravention of EU law (Article 21 of the EU Charter of Fundamental Human Rights). This, then, gave me the necessary instrument I needed to contact employers who wanted to advertise on the MELTA website, and state our position. I presented my findings to the rest of the MELTA committee and the majority of them fully supported my standpoint. I’d like to add that of the 7 members on our current committee, 3 are NNESTS (from India, Romania and the Dominican Republic). What was the initial reaction from the recruiters and if there was any criticism, how did you deal with it? Thank you for your request to place a job advert on the MELTA website. I note that in the advert you have stipulated that applicants should be native speakers. We at MELTA made the decision last year to avoid accepting expressions such as “native speakers” in job ads in an effort to promote non-discriminatory language in ELT. We want to do this not only from an ethical perspective, but also because we discovered that this type of discrimination actually contravenes EU law (Article 21 of the Charter of Fundamental Rights of the European Union). I’d therefore like to suggest we change the wording to “proficient English speakers” or similar. Please let me know if this is acceptable for you. I hope you understand our position on this and I look forward to hearing from you. The response so far has been very positive. Most of the recruiters agreed immediately, some wanted the wording changed slightly. For example, one university said “proficient English speaker” wasn’t enough, since some of their students are proficient English speakers, and asked us to use “native speaker level” or “native speaker competence.” I was happy to agree to this as this expression also focuses on the skill/competence level of the applicant, rather than first language or country of origin, so it would be both ethically and legally correct. What “native speaker competence” actually is would be up to the recruiters to clarify at the interview stage of their selection process, of course. We introduced the policy of refusing to accept requests for native speakers in job ads in October 2014 and in the four months since then, of the 13 job ads we received, six asked for native speakers. Of those six, not one of the recruiters refused to cooperate with my request to change the wording. In fact, most of them were very appreciative of my clarifying the legal position on this issue. Have you seen any changes in the number of job ads you receive? I think these figures reflect more on the economic situation (for example, the global financial crisis in 2008-9 which had a knock-on effect on company expenditure on English training in subsequent years), than anything else. In any case, we haven’t issued a statement on our website to ensure that recruiters don’t request native speaker applicants, so that wouldn’t have had any influence anyway. That could be our next step, perhaps. Do you think some recruiters might still discriminate against NNESTs, but do so ‘covertly’ rather than ‘overtly’? Oh, I’m sure they will. A Teachers’ Association can only do so much and I doubt we have that much influence over employers’ practices at the end of the day. However, what I’m hoping to do is highlight the legal (and ethical) position to them, so that they are at least aware of it. Who knows, maybe little by little we will be able to change people’s attitudes on this front. Could you give some suggestions to other associations and job list coordinators regarding the measures they could take to follow in your footsteps? Implement the policy – either publish a statement on your website to raise awareness among employers, or email recruiters who would like to advertise via your association and inform them of your policy. I think you’ll be pleasantly surprised by the results! Helen Strong is Chai r of the Munich English Language Teachers’ Association (MELTA). 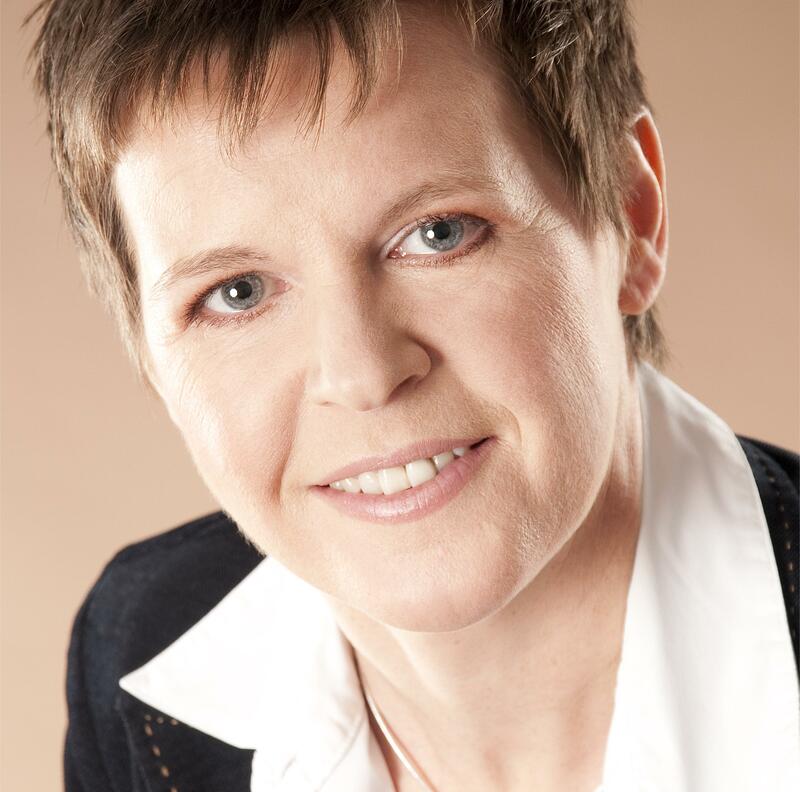 She has lived in Ingolstadt, Bavaria since 1999 and works as a Business Communication Skills Trainer on a freelance basis in both corporate and academic environments. She is also a teacher trainer; she has tutored on CELTA courses in Germany and Scotland and has given workshops on behalf of the business English magazine Business Spotlight. Especially through her teacher training, Helen has had extensive contact with both NESTs and NNESTs and supports advocacy of the fair treatment of teachers, whatever their linguistic background. Very interesting Helen. Thanks for this. Excellent post. And I bet most of the recruiters just hadn’t thought about what they were saying till you pointed it out. That’s been my experience so far, Vicki. Most of them were appreciative of me pointing it out to them. Truly inspiring. Thanks for the post. I wish people in Saudi colleges understand that Non natives are equally proficient as natives and should both be given equal chances. Diversity is an asset not an impediment. Thank you for your comments, Randa. I have replied to your email directly. Interesting post Helen and it’s good to see that you are doing this to set a precedent. On my CELTA Group on Facebook, I always try to get recruiters to advertise without using the term ‘native speaker’. I sometimes play devil’s advocate but most advertisers are happy to change their words. Very useful post and I shall link it to any future job advertisements based in Europe on my CELTA Group (https://www.facebook.com/groups/TheCELTAGroup/). I will also update terms and conditions to ensure all job advertisements include the term ‘English speakers’ rather than ‘native speakers’. Good idea!